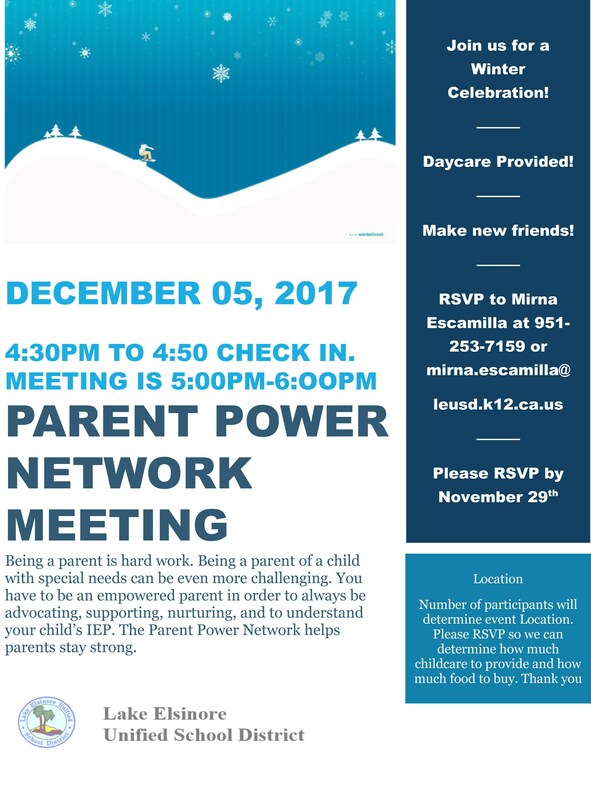 LEUSD's Parent Power Network is a monthly support and social gathering especially for parents and guardians of special needs children. On Tuesday, DEC. 5, JOIN US! Free CHILD CARE provided. RSVP: Please call Mirna Escamilla and RSVP before NOV. 29th by calling (951) 253-7159.